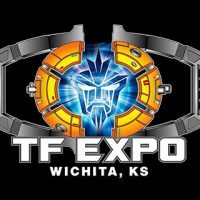 Donny Mason joins Vangelus for a quick chat about TF Expo 2017, TF Expo 2018, and the travels of their mutual friend Nicole. WTF @ TF Expo 2015 – 03 – Shirley Cheung (Plushology/ShatteredNeedle) Interview is online now. Read on for the full run down or check the player to start listening! WTF @ TF Expo 2015 – 02 – Matt Frank & Buzz Dixon Interview is online now. Read on for the full run down or check the player to start listening! WTF @ TF Expo 2015 – 01 – Dan Gilvezan Interview is online now. Read on for the full run down or check the player to start listening! WTF @ TFW – Supplemental 45 – TFExpo-sitioning 2015 – June 10 2015 is online now. Read on for the full run down or check the player to start listening!